For a town situated in the middle of the desert, Las Vegas has a lot going for it. 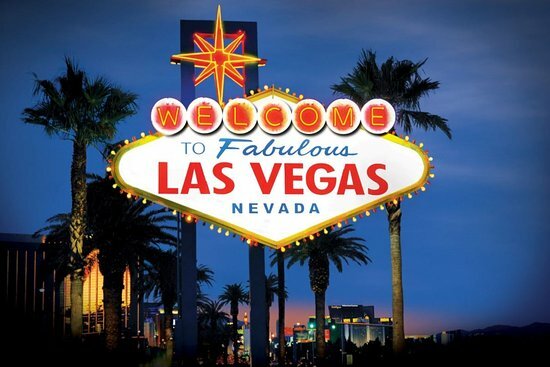 Billed as ‘The Entertainment Capital of the World’, Nevada’s largest city boasts a population of 600,000 residents (with over 2 million in the greater metropolitan area), and attracts millions of visitors each year. However, the city is also home is home to some particularly exotic creepy crawlies, a few of which we will take a look at below. The Las Vegas climate is classified as a ‘subtropical, hot desert climate’, thanks to its location in the middle of the Mojave Desert. This sees the city experience very hot, long and dry summers and typically mild winters. Pests thrive in the hot Las Vegas weather and can enter homes in big numbers to escape the heat. The climate also makes a hospitable environment for a lot of different types of bugs and creepy crawlies, including some more exotic varieties than those found in more temperate climes. Common pest problems in Las Vegas include bed bugs, cockroaches, spiders and, thanks to the city’s exotic location, even scorpions. Although perhaps not the single most common household pest problem, scorpions, can nonetheless prove very intimidating to the average resident when stumbled upon indoors. When frightened, this pest can unleash a nasty venom infused sting with its barbed tail. Depending on the species, this can have varying levels of toxicity to humans and be quite dangerous, in severe cases leading to necrosis. A certified pest control agent can safely remove scorpions from a home, check for other signs of infestation and take steps to help prevent more scorpions from entering the domicile. Cockroaches are another major pest problem in Las Vegas, as they seek to escape the harsh desert climate for shelter in cool and dark indoor spaces. These germ-distributing creepy crawlies can be very difficult to find and completely eradicate from a home, as they love hiding out in small cracks and crevices. They also spread disease and germs throughout the home, a particular problem given that they are often attracted to food stores in kitchen pantries. A pest control agent can completely remove these pests from your home with a thorough spraying and help to prevent later re-infestation from occurring. Another notable pest problem in Las Vegas is that of bed bugs. These bugs are a particular problem for the city, given the huge number of visitors that it receives each year (bed bugs love to travel with their human hosts). However, bed bug infestation is also a problem that commonly affects normal residences too. While state laws vary on the responsibility of tenant or landlord when it comes to bed bug eradication, the onus lies with the landlord in Nevada to ensure that ‘safe and habitable accommodations’ are provided for tenants. A chronic bed bug infestation can certainly be considered a dereliction of this responsibility. There are a number of reliable pest control agents in the Las Vegas area. One such of these is Fischer’s Pest Control, which offers a range of pest control treatment services from ants, to bees, to scorpions, to bird removal, and more. They offer a no contract service for long-term pest control requirements, with 50 percent off the initial service. They also offer free insect inspection and evaluation before removal is carried out. Other good pest control companies servicing the Las Vegas area include Bulwark Pest Control, Pest Defense and Custom Pest Control.